The Institution of Gas Engineers and Managers (IGEM) has taken over ownership of the Gas Industry Unsafe Situations Procedure (GIUSP). Previously, it was owned by a working group made up of representatives across the gas industry, and supported by Gas Safe Register. The GIUSP provides guidance to Gas Safe engineers for dealing with existing gas-related unsafe situations they may encounter in domestic and non-domestic premises supplied with natural gas or liquefied petroleum gas. Given its widespread use, the GIUSP Working Group was keen to ensure its sustainability and longevity, and wanted to find an owner and legal entity for the procedure. Agreement was reached that the GIUSP and the Working Group would come within the governance of IGEM under the Technical Co-ordinating Committee (TCC). This took effect from February 2017. IGEM is now responsible for GIUSP and will publish the procedure. 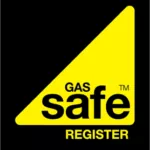 The GIUSP will continue to be used by Gas Safe Register and will remain freely available from Gas Safe Register.